At SLF, we are profoundly blessed that part of our mission is to actively promote and support other ministries and nonprofits. We attend their events and invite folks along. We help them strategize their fundraising and write grants. We sit on their boards and committees. We help them solve problems and resolve conflicts. We connect them with volunteers, in-kind donations and cash. We provide advice and counsel. We can even invest in them directly through the CaN (Churches as Neighborhood) Centers Collaborative and the CPT (Community Partnership Teams) Network. Truly, we are blessed to have this collaborative mandate in our DNA. And thus, RainFest was born. An off-season golf event that avoids competition with our nonprofit and ministry colleagues. A quirky theme and format that fits SLF’s personality well. 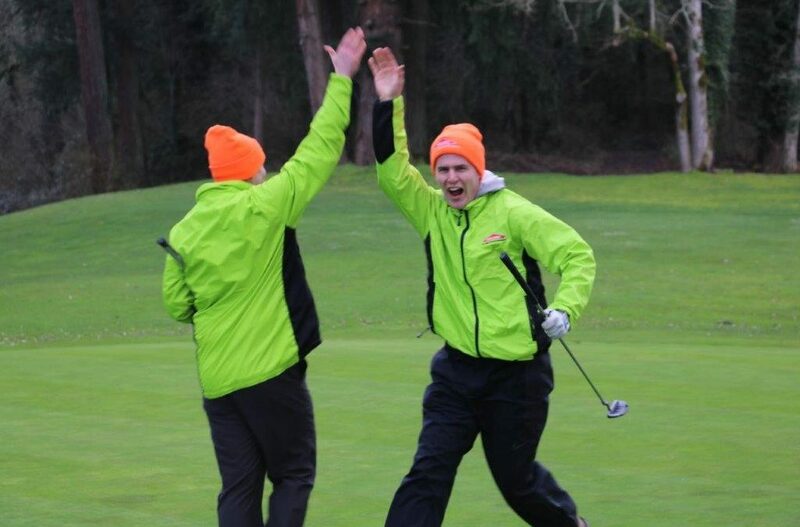 Just the right amount of ‘agony’ (rain, sleet, snow, wind and mud) to inspire folks to support the golfers with pledges. That first year (2012), we raised $32,000. Every year it has increased. Last year it was $90,100, a big boost to our budget during that ‘dry season’ we were trying to remedy. What a nice testament to both the entrepreneurial and missional spirit of SLF.